Round 2, Panels Still Available! Community Solar II was energized on June 19th. Sign up now, panels are still available! Community solar is an affordable, low-risk way for LREC members to benefit from solar energy without any of the hassles of designing, permitting, installing, maintaining and insuring your own photovoltaic solar array. You can buy the output of as little as one half of a panel or as much as 10 panels. The maximum output you can purchase is limited by your average annual usage or 10 panels, whichever is less. To sign up or learn more, call (800) 552-7658 or request more info by filling out a simple form. You can also download an agreement at the bottom of our sign-up page. 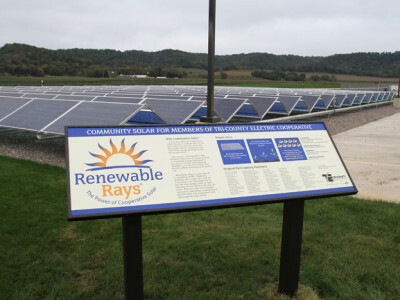 The program is voluntary and available to all LREC members interested in using renewable energy. Community solar is an affordable, low-risk way for LREC members to enjoy the benefits of solar energy without the hassle of designing, permitting, installing, maintaining, and insuring their own PV solar array. Will anything be installed at my home? No, all equipment will be installed on LREC headquarter grounds. LREC will be responsible for operating, maintaining, and insuring the array for the 20-year life of the program. How much electricity will a panel generate? Each panel is capable of producing up to 410 watts and will produce approximately 594 kWh annually. This translates into $69 in solar credits the first year. 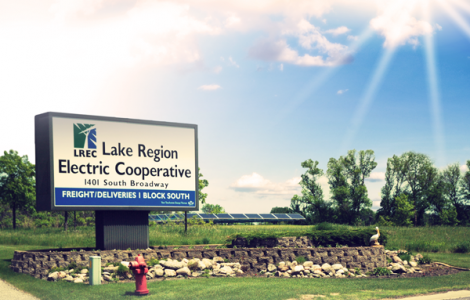 In year 20, if LREC rates rise 2.5% annually, a single panel will provide approximately $106 in solar credits. I am a senior citizen; will a solar panel benefit me? Will solar benefit me if I own a seasonal lake home? Community solar works very well for seasonal homes. Even though you may not be using your home (or electricity) during the winter months, your winter solar credits will carry forward to spring when you start using your lake home again. In addition, solar production is greatest in the summer which can offset LREC’s higher summer rates. If you move within the LREC territory, you can transfer your solar credits to your new address. If you leave the LREC service area, you can transfer (sell) your ownership to another LREC member – even a non-profit organization. How do I know how much energy the solar array and my panel(s) are producing each month? Solar widgets for each of our solar projects are located on our homepage and solar page. The graphics display current (real time) production, kWh produced today, month to date, and year to date for each of our projects. What happens at the end of the 20-year agreement? 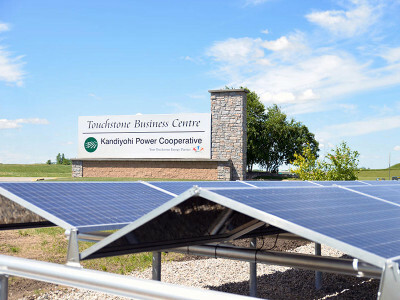 The community solar purchase agreement terminates after 20 years. However, LREC will monitor and evaluate advances in solar technology to determine whether extension of the agreement may be practicable at that time. 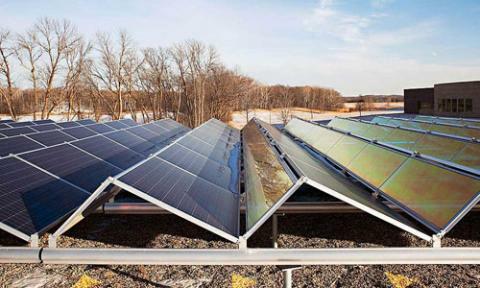 Learn more about Community Solar Gardens in Minnesota.